There are so many watercolor paint choices it can be hard to decide what to buy and how much to spend. 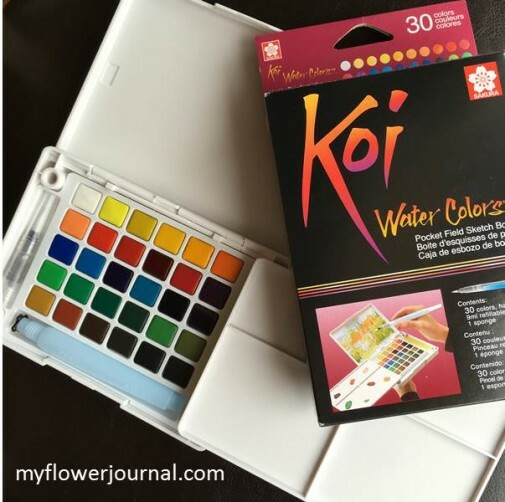 I’m going to share with you what I consider the “good, better and best” choices to make when it comes to buying water color paints. A Prang watercolor paint set is affordable and has some nice intense colors that can be mixed to create more colors. There is a good space to mix the colors on the lid. 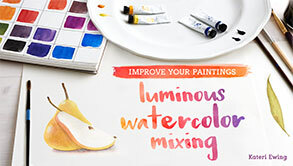 It even comes with a brush so you can get started right away on a watercolor project. I let my grandchildren use my set of Prang watercolors whens they paint with me. Prang is a good starter set for anyone who doesn’t want to invest a lot in paints. I love my Sakura Koi set of 30 colors. 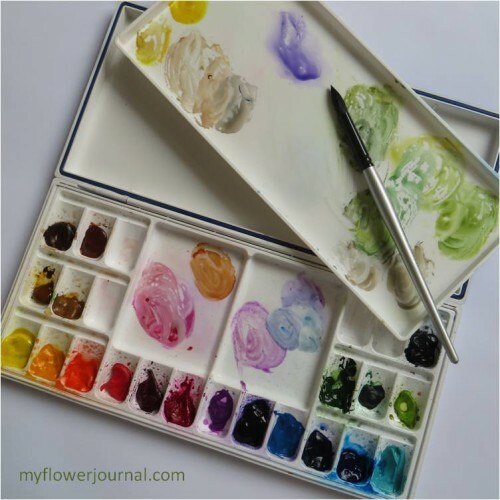 Its small and compact and has a good place to mix paints and holds a 4×6 piece of watercolor paper. I take this set when I travel or want to paint outside. Even though the paint is not professional quality the colors are beautiful. It comes with a waterbrush so you have everything you need to get started. A set costs about $25 on amazon so its still an affordable way to get started. Daniel Smith Watercolors are a professional grade paint. The colors are intense and beautiful to paint with. They come in small tubes that you squeeze into a palette. When they dry you can rewet them and use them over and over. The small tubes aren’t cheap, but they last a long time. I like the essential set. It has a cool and warm red, yellow and blue. With these six colors you can mix almost any color you need. I also like to have sap green, neutral tint and raw umber. Over the years I have added more colors just for fun. 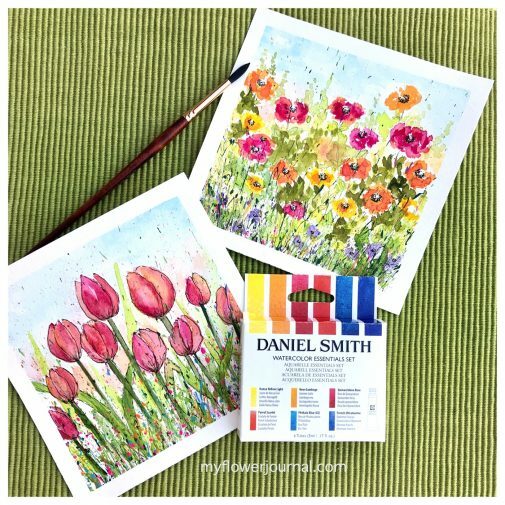 The Daniel Smith Dot Cards are a great way to try new colors before you invest in lots of tubes. I love my Heritage 24 well palette. It holds all my paint colors with room for a few more. The inside tray lifts out giving me plenty of room to mix colors. When I’m through painting I close it and the paints stay clean. It is 6 1/4 x 12 1/2 inches when closed. 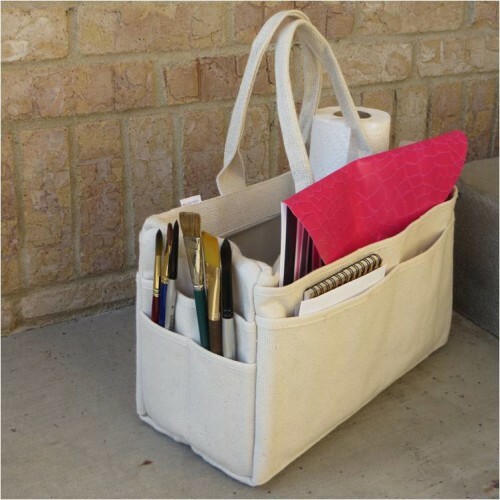 This is a nice size for transporting to a class or workshop. It is suppose to be leak proof, but I have never had need to test that feature. When I go to a class or workshop I store my supplies in this canvas rigger bag from Harbor Freight. I learned about this bag on Brenda Swenson’s blog. She suggests taking the stitching out of some of the pockets. This was a great tip because most of the outside pockets were too small for my things. The pink plastic folder in the large side pocket is where I store 8×10 or smaller paintings I’m working on, extra watercolor paper and photos. My palette fits perfect in the bottom. It lays flat so if any paints are wet they won’t run into each other. There is enough room for a roll of paper towel and a few other things on top. 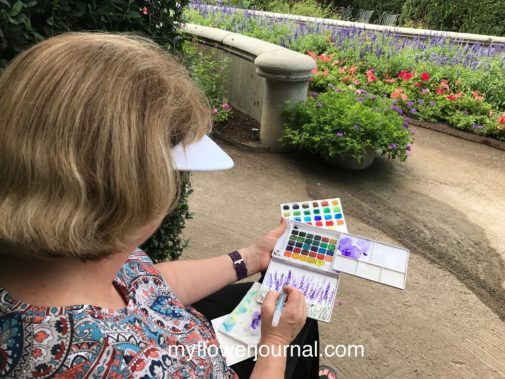 ***If you are new to watercolor painting or want to take a great watercolor class check out this one on Craftsy. I took it during January of 2016. If this class had been available years ago I could have saved a lot of money on paint. 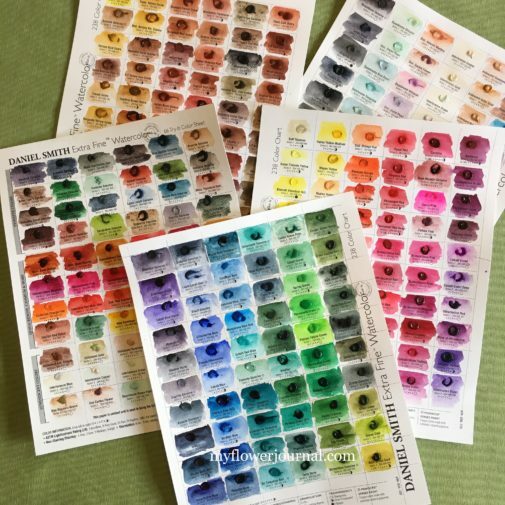 I now use the Daniel Smith Essentials Set (a limited palette) plus a few favorite colors for most of my watercolor projects. Thanks for the info, although where I live in France, I am very limited on the choice of paint brands. I usually buy Winsor Newton or the other choice is Rowney which I’m not so keen on. I love the super palette and the bag, I’ll have to check if I can but these on the internet. I need to get me one of those bags! What a great way to carry supplies. 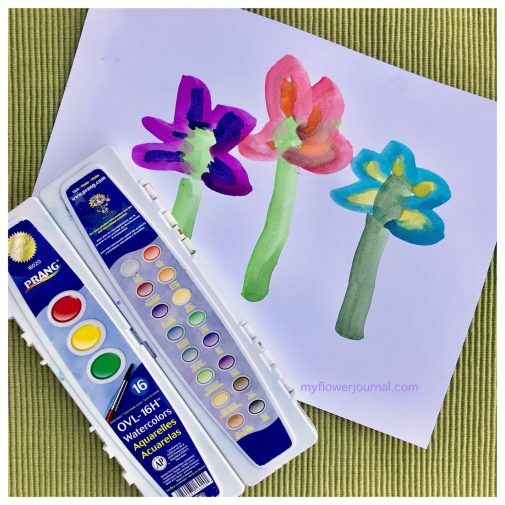 Very pretty water color flower you made. 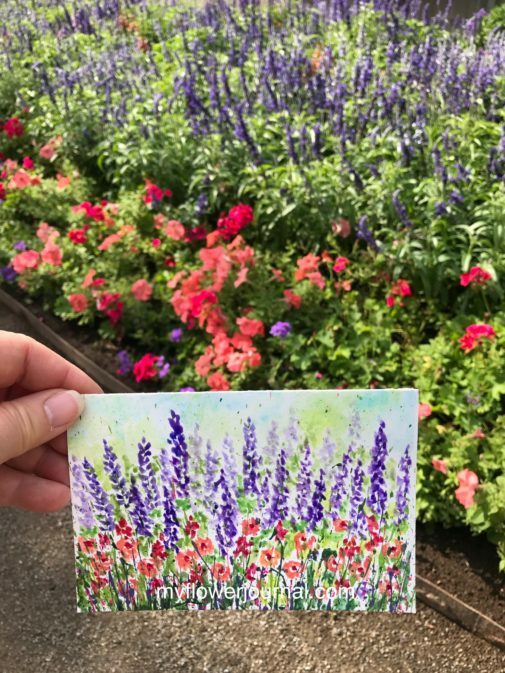 I love water color too! I just bought some brushes to do a little water color. This is a start to choose colors.